Baystate Health is an integrated delivery network (IDN) that includes five hospitals and more than 90 primary and specialty care practices serving a region of western Massachusetts with 800,000 residents. We know that patients who are coming to our facilities are also visiting other facilities outside of our network. As a result, they might be at risk of receiving duplicate procedures and imaging exams. To address these concerns and to enhance patient care, we spent several million dollars to expand our electronic health record (EHR) into a regional health information exchange (HIE). We then invited hospitals and physician groups outside our network to participate at no cost to make our HIE both attractive and more effective. Starting with an electronic medical record (EMR) and associated applications that provide demographic, claim and coding data, we built a clinical data repository that integrates and aggregates clinical information from Baystate entities and facilitates interfaces with disparate data sources from other organizations and their EMRs. Our platform addresses the challenge of standardizing the proprietary code language and data sets from the various EMR platforms to create a comprehensive view of patient health information. When service providers are located in the same geographic area there is an underlying spirit of competition. However, patients make care decisions based on factors that range from preferred physicians to locations or wait times for a variety of services. Since patients are going to be visiting the provider of their choice, we think it’s in everyone’s best interest to share and exchange patient health information across the spectrum of HCOs and providers. We believe healthcare providers need to focus on the needs of the community and participate in the sharing of patient information. Most patients will be treated at a variety of facilities including general physicians’ and specialists’ offices and urgent care centers and hospitals. Common sense dictates that we share patient records with all the providers involved in each patient’s care. 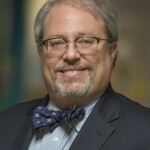 Neil R. Kudler, MD, is Chief Medical Information Officer at Baystate Health and Chief Operating Officer at Baycare Health Partners in Springfield, Mass. The post Baystate Health’s Regional HIE Invites Outside Providers to Participate to Help Enhance Patient Care appeared first on Everything Rad. Are Melodic Intonation Therapy and Rhythmic Mechanisms Enough to Legitimize Music Therapy?